Montri Transport Corporation Public Co.,Ltd was founded by Ph.D. Oranuch Saengsuriyajan and her colleagues in 1970. 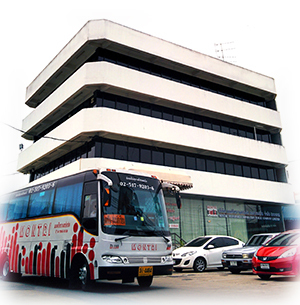 The company is registered by and licensed with The Department of Land Transport on June 24, 1982 under the name of 'Montri Transportation Co.,Ltd' to conduct business in school bus and private bus rental services with the authorized capital of 5 million baht. Ph.D. Oranuch Saengsuriyajan and her family are currently holding these shares.